If you’re not a fan of the AppleTV remote, or you just don’t want yet another remote control laying around your coffee table, you can sync a standard TV remote with an Apple TV. This should work with virtually any TV remote, cable remote, DVD/Blu-ray remotes, and universal remotes. After the initial control buttons are synced you will be able to use the TV remote to control your Apple TV, you’ll also be able to set additional buttons for things like chapter selection, skipping, and fast forward and fast rewind. If you really want to maximize your media experience, sync your remote and then try installing XBMC on the Apple TV 2, XBMC is great software and it really excels on the ATV platform. While pairing the remote doesn’t require a jailbreak, using XBMC on the ATV2 does, this might seem to make the setup intimidating but Seas0nPass makes jailbreaking the Apple TV extremely simple. Apple TV Envy: What about the Mac? Don’t have an Apple TV but still want a sweet media center? No problem, your Mac will do just fine. You can setup any Mac as a media center, we simplified that guide so it’s very easy and a lot of fun. If you want a more advanced setup or a dedicated computer for this purpose, check out how to setup a Mac Mini media center and remote torrents box instead, it’s focused on a Mini but it will work on any other Mac too. I had no idea you could do this, awesome! Remote consolidation FTW! I like it! 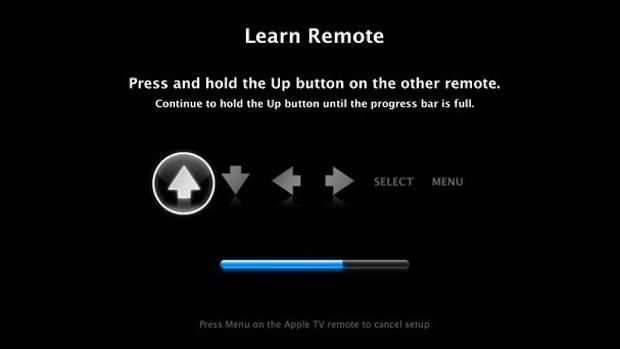 Can you do this with another remote and XBMC or Plex on a Mini?